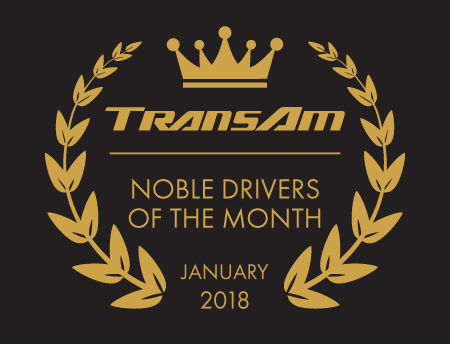 Congratulations, Ian Whitney – TransAm Trucking’s January Company Driver of the Month! Ian takes his job over-the-road very seriously. “Ian has been here for 7 years and has never had a service failure,” says Aaron, his Driver Manager. “Everything he does, he does it well and he does it with a smile.” Ian is a pleasure to work with and we are happy to present him with this award. Thank you, Ian! There are good Samaritans throughout the trucking industry. Charles Page is an excellent example, which is why we are proud to name him January’s Independent Contractor of the Month! Last month, we received a message from Charles requesting a new fire extinguisher. Why? Because Charles’s was used up while saving another driver’s trailer. He came across the fire while over-the-road and pulled over to help. Because of his actions, they managed to save part of the cargo. Thank you, Charles, for your selflessness and bravery! Congratulations, Eleanor Wheeler, January’s Regional Driver of the Month. We are recognizing Eleanor because of her awesome attitude and disposition. There isn’t a single situation she can’t handle! If she crosses paths with anyone needing a little help or advice, she is always more than willing to step in and assist. Thank you, Eleanor, for making our days a little brighter. Congratulations on your achievement! Making the transition to over-the-road trucking takes a solid foundation and Elijah Scott is January’s Mentor of the Month because of his willingness to listen to his mentees and help them adjust to life over-the-road. He may be one of our newer mentors, but “he has the calming nature of a seasoned teacher,” says Darren Whiteside, TransAm Trucking’s Manager of Training & Development. Thank you, Elijah! You are an asset to the Mentor program.